For the next part of Psi-Ops, we go up against the master of Pyrokinesis. 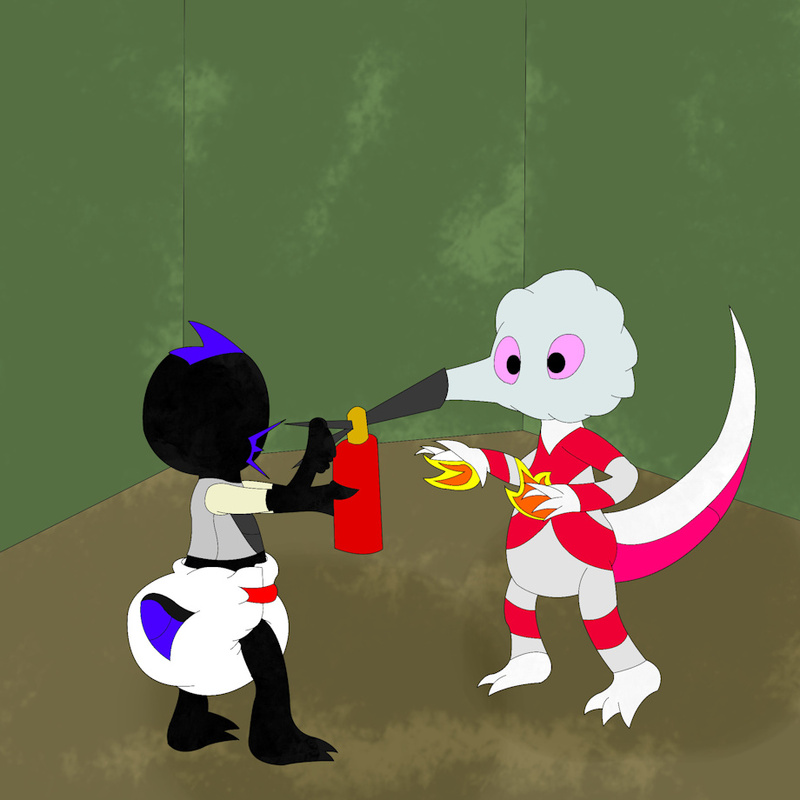 Leon does the most sensible thing and sprays her with a fire extinguisher, which actually isn’t too far off from the real way you defeat her. I used the rear diaper style drawn by SpaceMechanicAzul, one hell of an artist.